Wow! Walk through the front door into an OPEN CONCEPT living space that will make you proud to call this home! 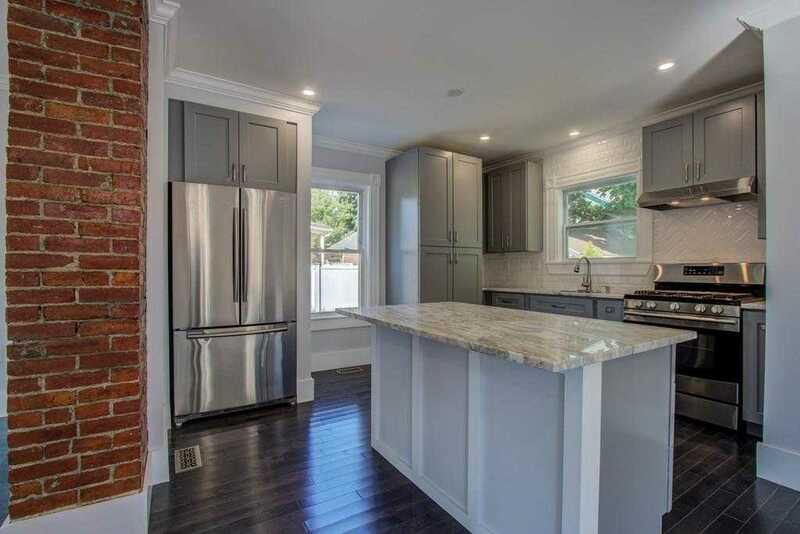 With hardwood floors throughout, upgraded stone countertops, top of the line cabinetry, above grade LED lighting, crown molding all around and the EXPOSED BRICK you will quickly own the home everyone wants to visit; and there is A LOT of off street parking so that won’t be an issue! Never worry if you forget to adjust the thermostat…this home comes equipped with a NEST thermostat ready to be programed to your phone. The heating system is NEW and the insulation and electric were redone THIS YEAR! The hardwood floors in the bedrooms that have been hidden for 60+ years are finally exposed and have been redone BEAUTIFULLY! If you’re spending time outside, in the garage, or in the oversized driveway you will be able to oversee any backyard activities with the custom fence perfectly sized to have privacy but nothing out of sight. With no detail missed, you will love this home!